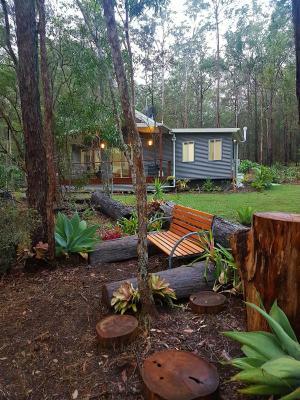 Lock in a great price for Oakey Creek Private Retreat – rated 9.7 by recent guests! 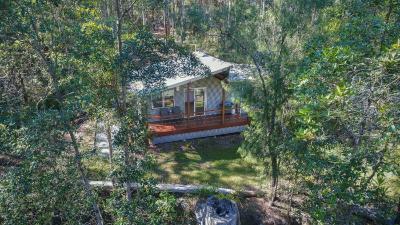 Oakey Creek Private Retreat is AMAZING! Complimentary breakfast was offered, as were some other treats such as chocolates & chips, dvds & books - fantastic bonus. Location is so peaceful, Host is the best. Hidden gem, the owners are lovely and very thoughtful. The retreat was stocked with lots of extras to making the stay extremely comfortable. Nothing but nature around.... perfect hideaway. Beautiful spot, Gavin was a very friendly and helpful host. Accommodation was lovely and clean. Little extras were a welcome treat! Clean comfortable felt welcome and Gav left some complementary treats. Just perfect for us. Lovely and remote yet close to everything. Everything. 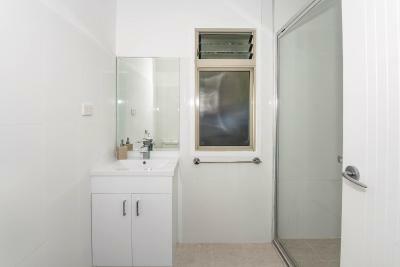 Fantastic location, beautiful outlook and great facilities within the property. Gav was a great host and provided a warm welcome. High recommend. Everything from the location to the little extras that make you feel at home to Gavs welcoming hospitality. This is definitely THE place to go if you want to get away from it all. Cheees Gav we will definitely be back again for longer. 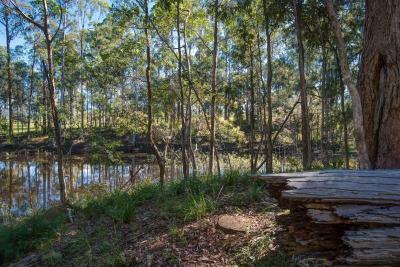 Fabulous getaway spot beautiful view into bush and water feature. Owners were fantastic, they dropped us when we left our car in the town and had breakfast in the fridge for us! The place is wonderful. A bush experience which was very relaxing. We want to return for another visit soon. The little extras provided were unexpected but much appreciated. Yes the road in is a track, but it adds to the isolation. It is a real little gem. Built in early 2016 and located on a private 31-acre property, this rural retreat is located in Gheerula, 5.6 mi from the historic township of Kenilworth. Free private parking is available on site. 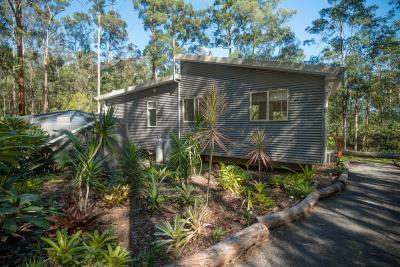 The Sunshine Coast beaches are a 40-minute drive from the property. 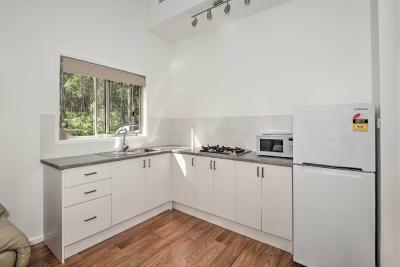 The kitchen is equipped with a microwave and a toaster. 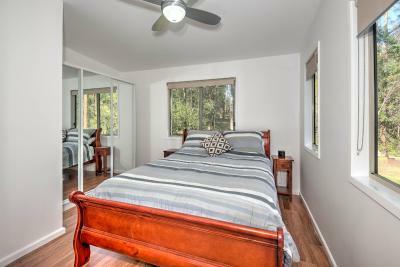 Towels and bed linen are available at Oakey Creek Private Retreat. 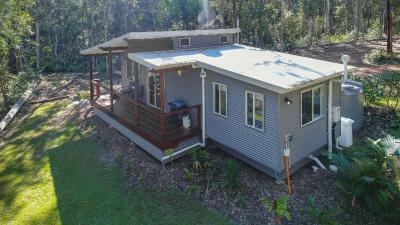 Other facilities at Oakey Creek Private Retreat include a barbecue. You will find gift shops, an art gallery, convenience store, cafes, restaurants and amenities in the main street of Kenilworth. The local area is popular for hiking, kayaking, cycling, horse riding and fishing. 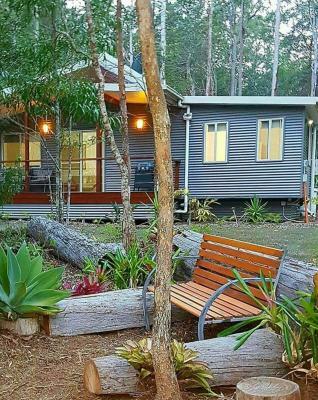 Noosa is 31 mi from Oakey Creek Private Retreat and the nearest airport is Sunshine Coast Maroochydore Airport, 34 mi from the property. 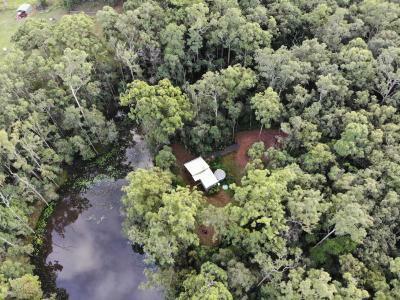 This property also has one of the top-rated locations in Gheerulla! Guests are happier about it compared to other properties in the area. 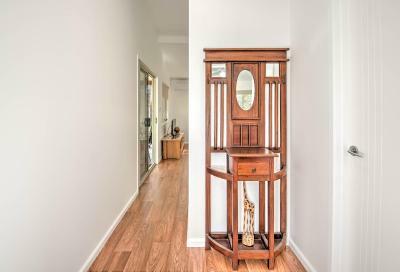 This property is also rated for the best value in Gheerulla! Guests are getting more for their money when compared to other properties in this city. 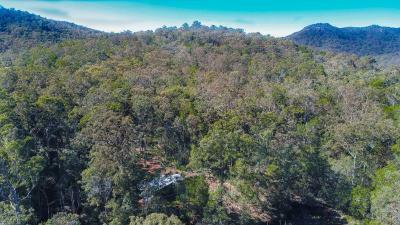 When would you like to stay at Oakey Creek Private Retreat? House Rules Oakey Creek Private Retreat takes special requests – add in the next step! 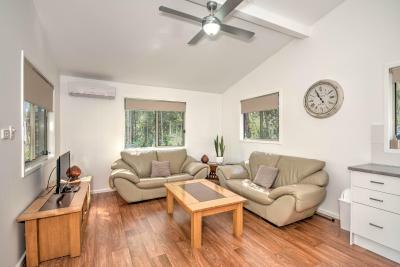 Please inform Oakey Creek Private Retreat of your expected arrival time in advance. You can use the Special Requests box when booking, or contact the property directly using the contact details in your confirmation. Our stay was perfect in every way. Our host Gavin was friendly and the cottage was beautifully presented with the added touch of breakfast food and milk in the fridge. The birds, the bush all around especially those giant red gums, the lace wing cicadas greeting the sun with their noisy screeching which rises to a crescendo then fades then repeats a few times, those beautiful waterlillies on the dam which closed at night and opened with the sun next morning. We played games with the noughts and crosses out on the deck. 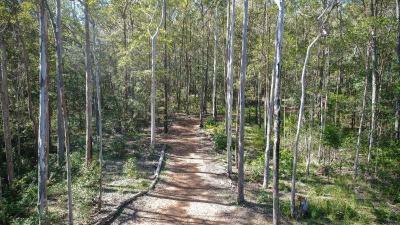 We went for a drive and bushwalk. We just sat in the early morning light and listened. Thank you Gav. Everything was great, it was a little hard to find but thr secluded location is really part of the appeal! You have to drive everywhere, limited transport options! It exceeded our expectations on many levels. Hospitality was fabulous. 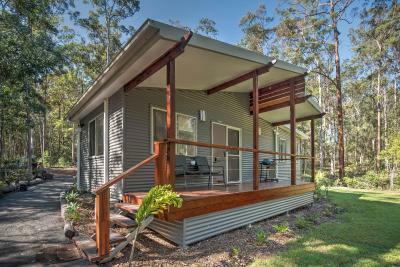 Such a peaceful, location (but close enough to Montville & Maleny for a drive), we were sad to have to leave. So beautiful, a great place to relax & get away from it all. Owner provided wood for the fire pit which was a hit. This place will challenge any other hinterland accommodation. Second to none. Gavin has an infectious smile, and is extremely welcoming. Couldn’t shut top windows to keep out the cold. How friendly our host was, the extra special gifts that was left for our stay. Awesome Awesome awesome, loved the scenery and the privacy of our cabin.